Kengo Kuma - with offices in both Japan and Paris - is not your regular architect. His work with wood is very idiosyncratic and gives a particular architectural identity that makes his buildings stand out. 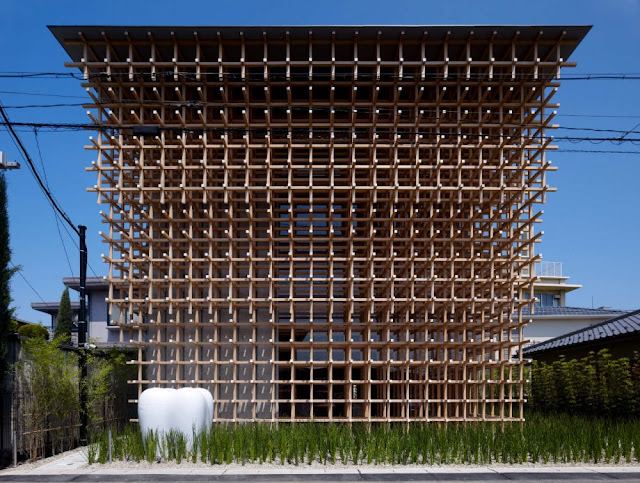 He has a unique way of designing and constructing with wood, honouring the Japanese tradition, but with his look firmly turned to the future. 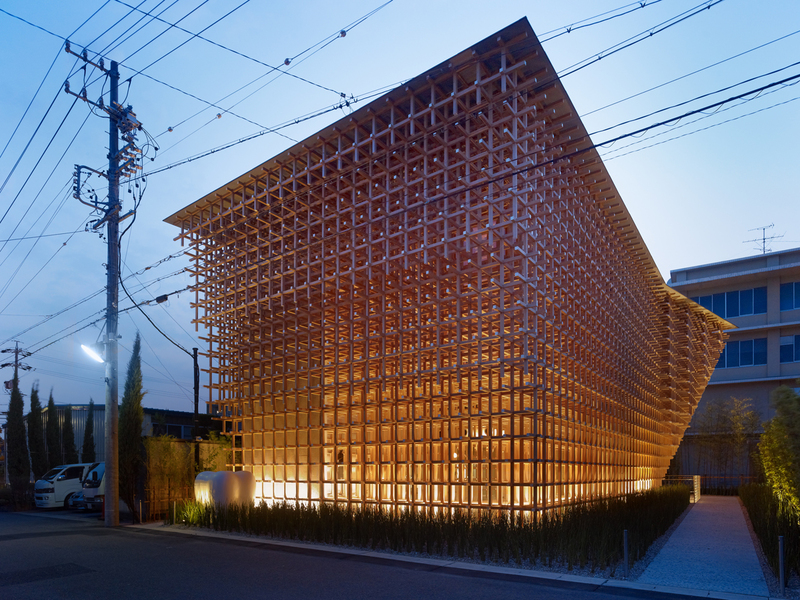 Prostho Museum Research is a characteristic sample of Kuma's oeuvre. The inspiration for its design was an old Japanese game called cidori. In it, one puts together wooden sticks with joints of a unique shape. 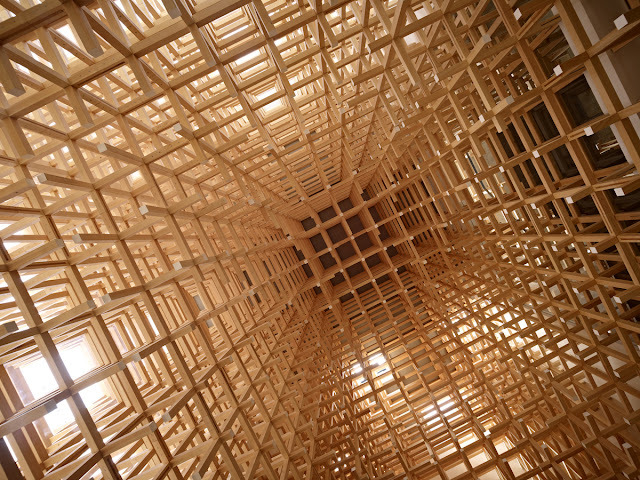 The shapes you achieve just change by rotating the wood, without any nails or other metal. This game's tradition passes from one generation to the next in the small mountain city of Hida Takayama, where there are still many skilled craftsmen. The building is in Aichi of central Japan and was designed by Kuma, while it was constructed with the help of engineer Jun Sato and craftsmen from Hida Takayama, applying the cidori principles. The game has as it's basic element a wooden stick with a cross section side of 12 mm. That was translated with a variety of sizes into the building, with a cross section side of 60mm and basic lengths of 2 or 4 meters. The grid of the structure is 50 cm. The same grid is also used inside the museum for its permanent exhibition. 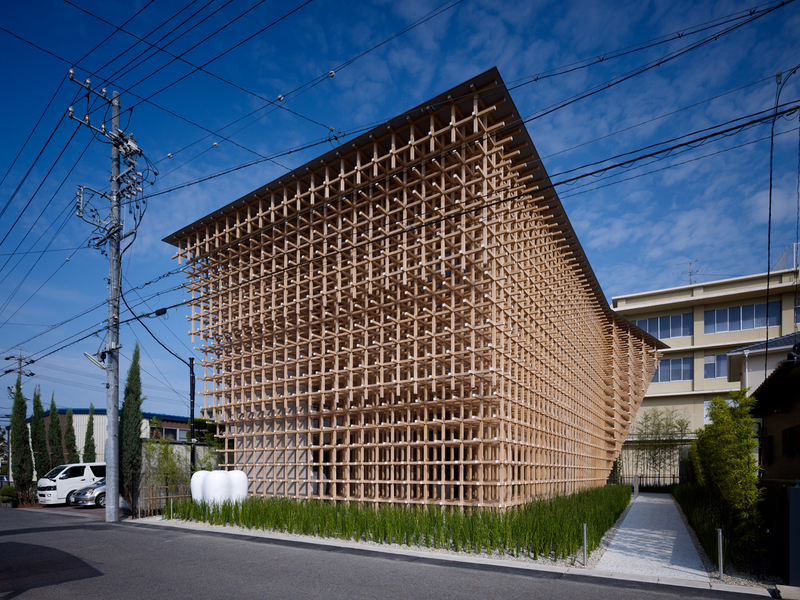 The wooden structure of the building is not only a decorative element, but also makes up its basic structural frame. The architect believes that modern buildings with shells that simply cover their structural frame are useless. For him, there is no element of the building that is simply decorative - all play a major part in its construction. 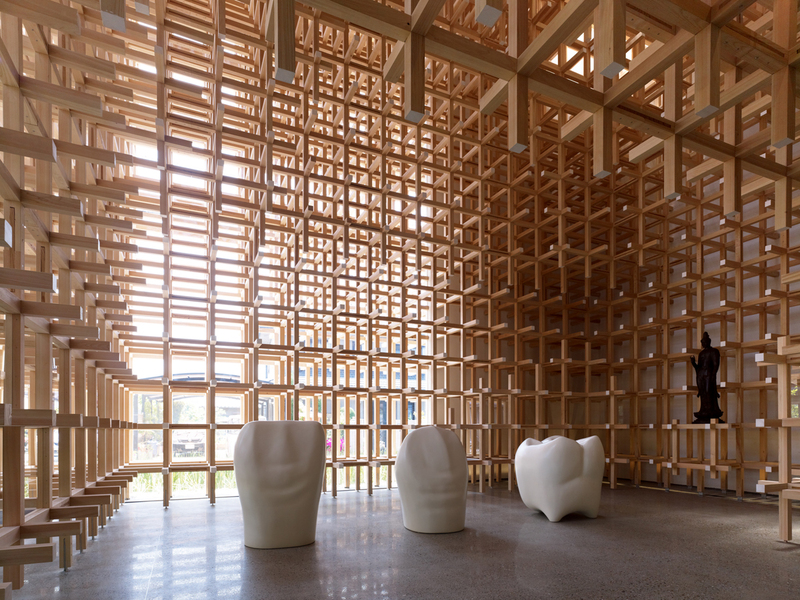 The core of the structure, behind the exhibition space, supports all the wooden construction. 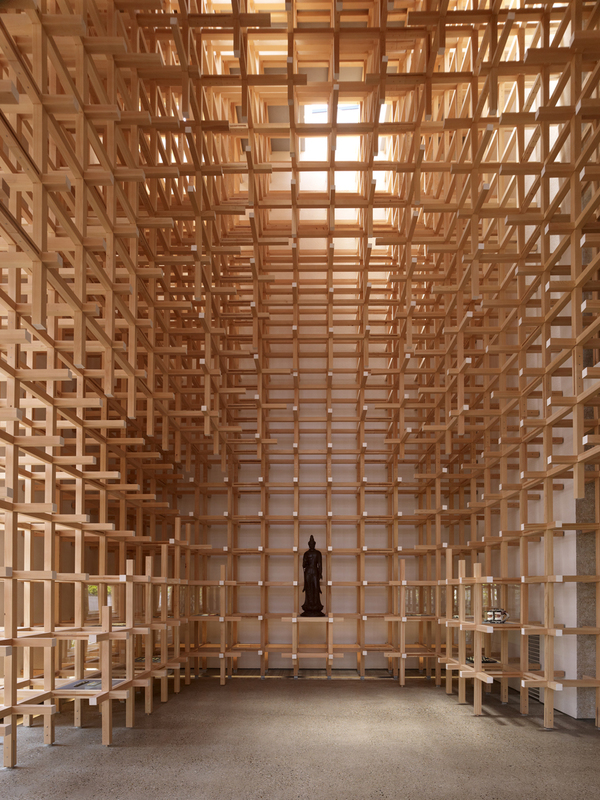 By placing sheets of glass to fill the grid, the architect managed to give the impression of a wooden grid running through the building in all its length, uniting the interior with the exterior space. The museum is basically a showroom for the GC dental hygiene company and was first presented in the Milano Salone in 2007. Visitors are probably in a dilemma between the permanent exhibition with the history of artificial dentures and the building that houses it. The architect likens a walk inside the building with a walk in a deciduous tree forest, where one can enjoy the sunlight through the branches. His repulsion towards the use of concrete and metal led him to redefine the use of wood through a traditional Japanese game. Building with wood from the surrounding area, with the cidori system, he also suggests an alternative solution to modern architecture: the building as a result of human labour instead of mechanical perfection. A look to the future with the feet firmly planted in a centuries old tradition.